February 22, 2016 — On Saturday, February 20, Tropical Cyclone Winston—the largest storm ever recorded in the Southern Hemisphere—made landfall in Fiji. The Category 5 storm battered the islands with winds as high as 224 mph, and heavy rains caused severe flooding across the country. A reported 8,000 people have been rendered homeless and at least 21 people were killed by the storm, which destroyed buildings, damaged infrastructure, impaired communications, and limited access to clean water and power. In the aftermath, as impacted communities begin to assess damage and start cleanup efforts, the Fijian government has issued a 30-day state of emergency. Schools will be closed across the country for at least a week. A nationwide curfew is also in effect as emergency crews work to remove debris, clear roads and restore power. 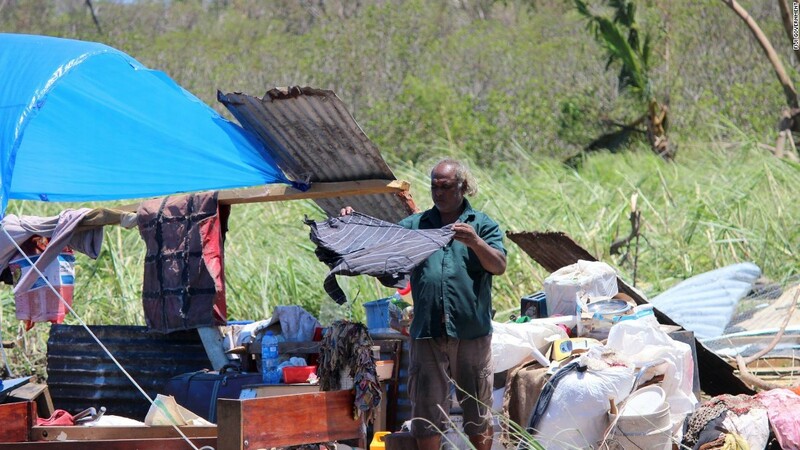 Operation USA is currently assessing needs in Fiji for both immediate relief supplies and long-term recovery programs. In addition to shipping in-kind materials and making grants to community partners as opportunities become available, OpUSA will seek out opportunities for long-term projects centering on health and education recovery. Your donations to our Fiji relief efforts will be allocated directly to impacted communities through local community partners and will have a meaningful impact on the lives of those who are reeling after one of the largest storms ever to hit land devastated their communities. To donate to Operation USA, visit give.opusa.org or call our office at 1-800-678-7255. Checks can be mailed to: Operation USA, PO Box 36188, Los Angeles, CA 90036-0188. Give unused United Airlines miles to Operation USA here: https://secure.unitedmileageplus.com/CharityMilesSSO.jsp. Stay up to date on Operation USA’s relief and recovery efforts by following us on Twitter and joining us on Facebook. For the latest news and information on global recovery efforts, click here.